Take a look at the images of an upcoming Transformers toy tag as Optimus Prime Movie Trilogy Series from an ebay auction. 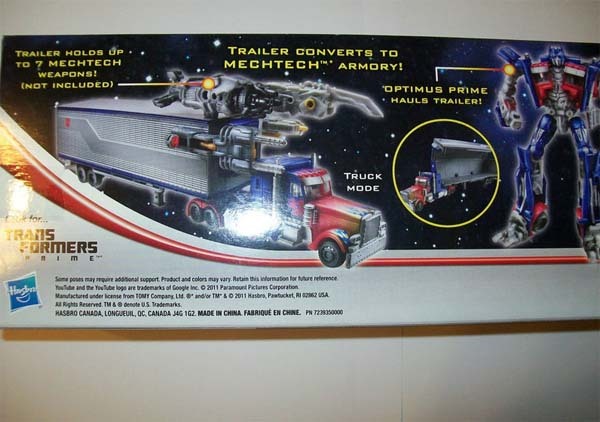 The image shows that the trailer of Optimus converts into mechtech armory. 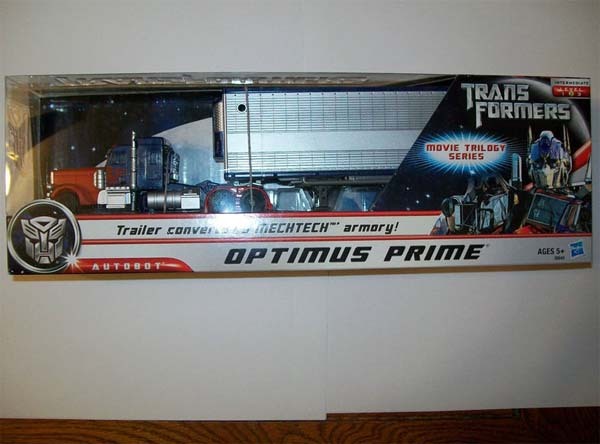 Is this a new Optimus Prime toy line from the Transformers movie series? Check out the mirrored images below. 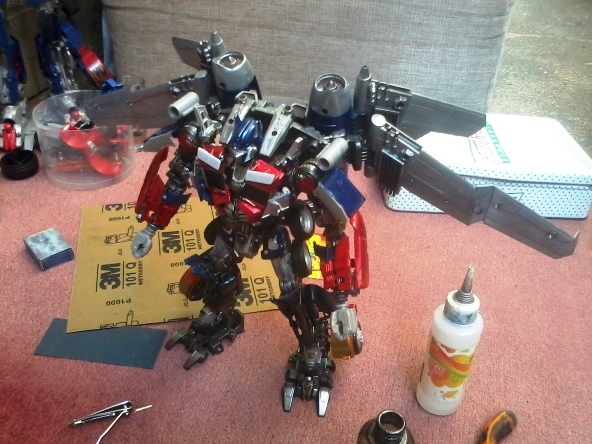 Optimus Prime has traveled across the universe, and fought along side many great noble warriors. Throughout it all, he has relied on his own private arsenal. It is a collection of the most powerful weapons in the universe. Built up over centuries, it has seen him through some of the most dangerous and devastating battles in the history of the cosmos.